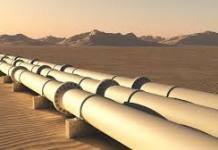 Djibouti (HAN) May 11, 2014 – Geeska Afrika Online reporter in Djibouti. Nine Airmen from the 303rd Expeditionary Rescue Squadron (ERQS) collected and distributed nearly 400 pairs of donated shoes as well as 25 boxes of donated clothing and baby supplies to people at the Caritas Djibouti Clinic, Djibouti, May 4, 2014. U.S. Air Force Capt. Jason Tomas, 303rd ERQS HH-60 Pave Hawk pilot, said the idea to collect shoes came to him after talking to local civilians while downtown. Tomas and his group were approached and asked for their shoes. While running the next day, he said he thought, why not collect as many shoes as possible with the help of those stateside and pass the items out locally. Not only did the group collect nearly 400 pairs of shoes, but other members of the squadron reached out to their family and friends back home as well. U.S. Air Force Staff Sgt. Robert Ayer, 303rd ERQS HH-60 Pave Hawk crew chief, said he had a lot of help from his wife and her co-workers. Ayers said its important CJTF-HOA members interact with the community. 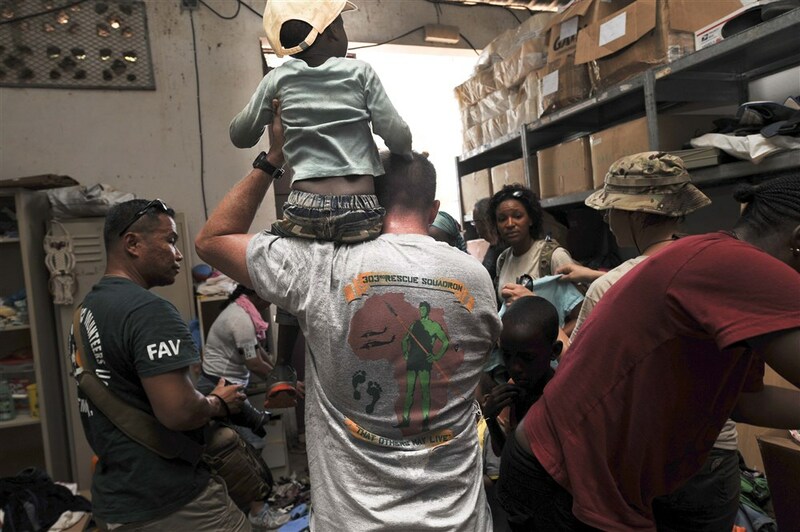 Photo: Lt. Col. David Cooksey, 303rd Expeditionary Rescue Squadron (ERQS) commander, helps a child out of a room after picking a pair of shoes and hat at the Caritas Djibouti clinic, Djibouti, May 4, 2014. Nine Airmen from the ERQS collected and distributed nearly 400 pairs of donated shoes and 25 boxes of donated clothing and baby supplies to people at the clinic. The collection of donated supplies was a combined effort from family and friends of the 303rd ERQS, who are deployed from Patrick Air Force Base, Fla. The Combined Joint Task Force-Horn of Africa (CJTF-HOA) unit is responsible for personnel recovery within East Africa and the Arabian Peninsula. They execute crisis response to recover U.S. and allied military, diplomatic and civilian personnel.